After psychological pressure from Privatbank nationalisation, the situation is back to normal. The situation on the currency market remains stable after the currency intervention by the National Bank of Ukraine on 20 December, the deputy governor of the NBU Oleh Churiy said as quoted by Finclub. "In the early days of the week the news of Privatbank exerted psychological pressure on the rate of hryvnia, but the situation has returned to normal. In the afternoon of 21 December, the weighted average rate of Ukrainian currency was 26.4277/ $, after 26.4705 / $ last day," he said. In Churiy's words, the fundamental market factors are now overall favorable for the currency market. Due to the further inflow of revenues from the export of grain there is sufficient supply of hard currency on the market. The favourable global prices to other Ukrainian export products, particularly steel and iron ore, also contribute to hryvnya stabilisation. "In case temporary factors will again determine the situation in the foreign exchange market, the National Bank is ready to smooth fluctuations," NBU official assured. 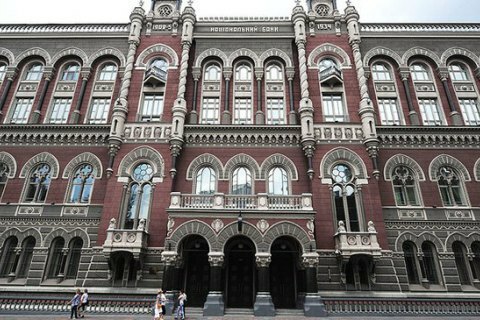 In November, the NBU explained the depreciation of the hryvnia by political tensions in the country.